Hello everyone and welcome to creating website .org where our mission is to teach you how to create a website. Today in our Thrive Architect Reviews and Opinions we are going to be taking a look at 5 reasons why you should get Thrive Themes. If you are not familiar with Thrive Themes it is one of the most easiest and affordable plugin sets that you can use for your WordPress Website. In the video below, I show you some of the reasons that I use Thrive Architect for my projects and why I personally think it is the best What you see is what you get WordPress editor on the market. Headline Optimizer - Improve your content marketing by testing different headlines against each other. For each blog post, Thrive Headline Optimizer will A/B test your titles and show only the highest performing ones. Clever Widgets - Show different content in your widget areas, based on posts, pages, categories, tags and advanced targeting rules. Thrive Comments - With Thrive Comments you’ll gain the power to spur faster feedback and increase engagement through several innovative features like up voting and downvoting, gamified comment incentives and an impressive number of after-comment-actions. Thrive Quiz - Create fully customized quizzes that allow you to gain valuable visitor insights, build a segmented email list, drive website engagement and get tons of social shares with Thrive Quiz Builder. Here are some testimonials from their website. “You are guys are simply awesome I am loving everything you guys are doing at the moment. Keep up the great work you really are making such a big difference in this field. Now you can buy these WordPress Plugins individually or you can buy them as a package. I recommend getting the Thrive Themes package, as it is well worth it. So, let’s go ahead and get into our Thrive Themes review and let me give you some reasons why I use Thrive Themes for my lead generation strategies. Thrive Themes is user friendly. It is a drag a drop plugin that makes it super simple to design a website, add lead generation, add high quality landing pages and so much more. I like to put it like this, if you can send an email then you can design a website using Thrive Themes. Right now, you can get the Thrive themes package for only $19 a month. With this package you can use all of the plugins & themes on 25 of your own websites. Now for $49 a month you can use all of the plugins & themes on 50 of your sites and clients’ websites. This is an amazing deal when you consider all of the WordPress Plugins that come with the Thrive Themes Package. “Great stuff! I am really impressed by all the new additions. You guys have shown a true commitment to making Thrive Themes awesome." It comes with a plethora of WordPress Plugins that you can use to take your WordPress Website Design to another level. Thrive Leads - Thrive Leads is your all-in-one email list building tool. Create and freely design every type of opt-in form, run A/B tests and build your email list faster than ever before. Thrive leads doesn’t stop there, you have the ability to add call to actions and opt in forms almost anywhere on your website. It also allow you Pop Ups, Slide ins, Animations, Screen Filler, Widgets, 2 step opt ins, Header Ribbons and 2 stage opt ins that are simply amazing. Not to mention you can easily add A/B testing for you opt in forms to see which ones are converting best. All these options are rare from lead generation companies that charge a fortune for their lead generation software. These options will pin point your lead generation strategies and will do it at an affordable price. Thrive Ovation - Get rich, detailed and persuasive testimonials on auto-pilot, using Thrive Ovation. With this plugin, you can finally add testimonials as a powerful conversion tool to your landing pages, sales pages & more. Thrive Landing Pages - Instantly publish beautiful, conversion optimized and 100% editable opt-in pages, sales pages, webinar registrations pages and countless other landing pages on your site. 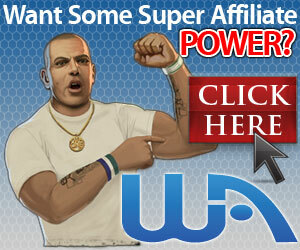 Thrive Ultimatum - Thrive Ultimatum is the perfect scarcity marketing tool for WordPress. Increase your conversions by adding countdown timers, run complex evergreen scarcity campaigns and much more. Did I mention that it also comes with pre-designed Thrive Themes templates that will have your website up and running in minutes? The Customer support is amazing and handles all their request in a timely manner. Now this is important because having a great product with no support is not to helpful, but like I said the crew at Thrive Themes will respond to your tickets and request quick and will even personally go to your website to try and fix any issues you may have. They have a whole section of how to videos, step by step tutorials, user friendly blogs and top notch classes in their Thrive University section, that you can easily pay over $1,000.00 for, but this is included in your membership. Wow!!! Also the knowledge base is pretty good to. Free Life Time Updates for all of your plugins for the lifetime of your subscription, not only that your subscription price doesn’t go up. So let’s say you buy their package at $19 a month. Now in the future, if there is a price increase you stay at $19 a month for the lifetime of your subscription. Now to top that off - you get free updates of all your WordPress Plugins and the cool thing is they are constantly adding to their plugins to make them better. Now what does that mean? Well once they update their plugin all you do is download the latest version free and that’s it. Wow!!! Ok these are just some of the reasons that I personally use Thrive Themes to design all my websites and websites that I design for clients. I hope this has helped you out in making the right decision when it come to you looking for a nice Web design plug in that will help you take your WordPress Web Design to another level. Now if you have any questions please feel free to contact us at info@creatingwebsite.org and we would love to assist you where we can. I will put a link in the video so you can purchase Thrive Themes or any of their plugins. I am an affiliate so if you purchase from my link I get a small commission. Thank you and don’t forget to share, like and comment if you have any questions.